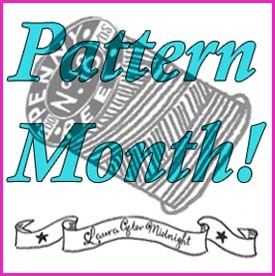 I am declaring September to be Pattern Month! I’m starting to teach Pattern Cutting Classes, and in response to suggestions made by my wonderful followers I am going to be blogging alongside my classes with tutorials, advice and information, give-aways and competitions, reviews of and interviews with independent Pattern Companies such as Grainline Studio, By Hand London and In House Patterns to name but a few and many other Pattern Cutting related posts. September will be the first Month dedicated to Pattern Cutting, which I shall update and build upon as I continue to teach. WEEK 1: Making Basic Blocks. To include taking accurate Measuring For The Perfect Fit and the drafting of the Basic Block, Skirt Block and Sleeve Block. Other posts in the first week will include a resources guide and a Notions on Marking Your Handmade Patterns as well as an introduction to Pattern Month on Pinterest, a killer Wordless Wednesday from one of my Vintage Sewing Books and an interview in our new weekly Pattern Making Musings and give away (eek!, it’s going to be soo good!). Week 2 will introduce the Toile, adding Seam Allowance, relocating Darts and sewing up in preparation for fitting. Another beautiful, 60’s inspired Wordless Wednesday, a short but thoroughly interesting Snippets From Pattern History, and a fantastic Pattern Making Musings with Sarai of Colette Patterns! 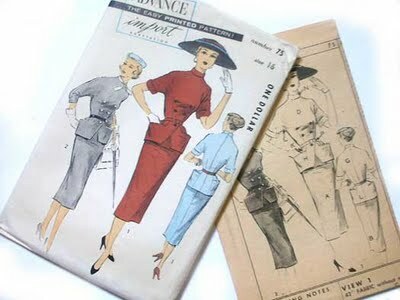 Kicking of the third week is a post all about Fitting your Toile, with resources pulled from my Vintage Sewing books and various other wonderful websites and blogs. Fitting the Toile also has a great little video tutorial on fitting. There will also be a very useful guide to Scaling Up Vintage Patterns, and using PDF Patterns, a fantastic Video from Dior which displays the amazing things one can accomplish when designing, a Wordless Wednesday for the Pattern Month Pinterest archive, a cheeky little re-blog from Etsy all about Patterning and Making your own Leggings, and a Pattern Making Musings from Hannah of Sinbad & Sailor. Finishing off a fantastic Pattern Month, this week started with a post all about Making Working Patterns. With advice on how to break the design down by making a Technical Illustration, and a visual guide to the many pieces needed to create a design. Other posts included a Wordless Wednesday from a stunning Japanese Pattern Book, a post which talks about Pattern Books, and why having one is super important, an Order of Sewing from my Vintage McCall’s Sewing in Colour which is just superb and the last Pattern Making Musings from Maddie of Madalynne. 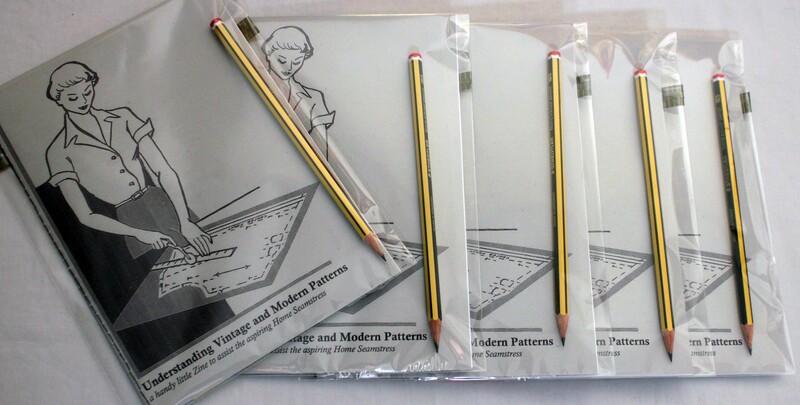 As reference I shall be using the wonderful Metric Pattern Cutting by Winifred Aldrich. If you seriously want to start drafting your own patterns, I would highly recommend this book. I would also recommend furnishing yourself with some Pattern Paper (I prefer plain however; the more prevalent is Dot and Cross), and a Pattern Master. Sharp pencils, a selection of colourful felt tip pens and a calculator would also be useful. My Notions series of posts will also be given over to Pattern Cutting and include useful tips on marking patterns and what information should be written upon each piece, marking the fabric, lays and the order of sewing, much of which will be taken from my collection of Vintage Sewing Books (I bought another a couple days ago tee hee!! ), more information on which can be found here. Lastly, I am very much hoping to have a couple of guest posts and interviews with some of the wonderful new up and coming pattern companies which are out there… a couple have already been in touch and I am seriously excited about what I have in store for you! I’m too excited about Pattern Month and I’ve spent all evening making Fella help me learn how to make Buttons for you all to share! It promises to be a great month! Who’s with me? This all sounds like a great idea, on something I’d really like to know more about, can’t wait to read your posts! Thank you, thank you, thank you. I made a pledge to not start any more projects this month; but this is too tempting. I hope you will find the time to discuss how to alter the armhole for different garments -sleeveless, sleeve, cardigan/vest, jacket, winter coat. Easter gifts and Sewing kits.